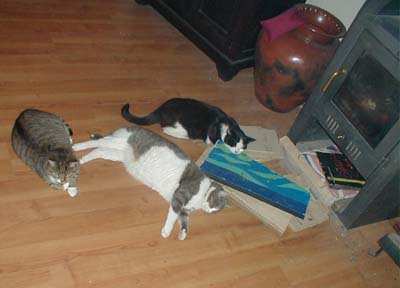 We have cats. 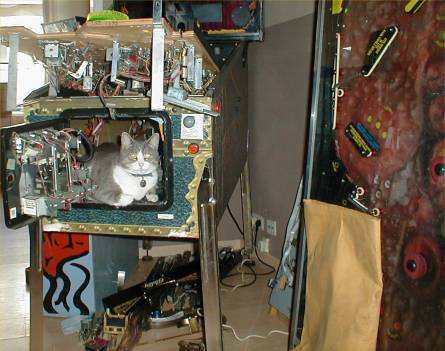 And cats like pinball machines. 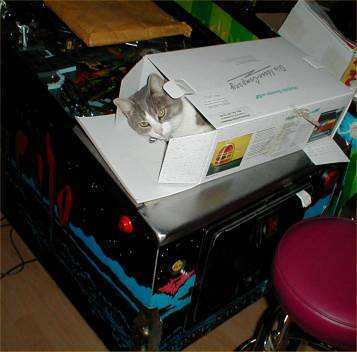 Well, actually cats like boxes, and pinball cabinets are nothing more than big boxes for them. 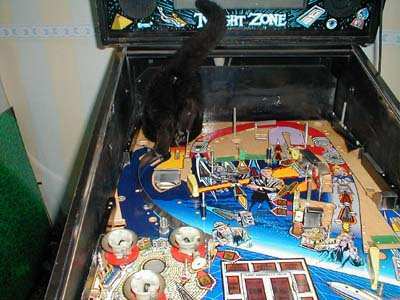 Further cats like to play, hunt flashing lights and if they want your attention they'll show it. 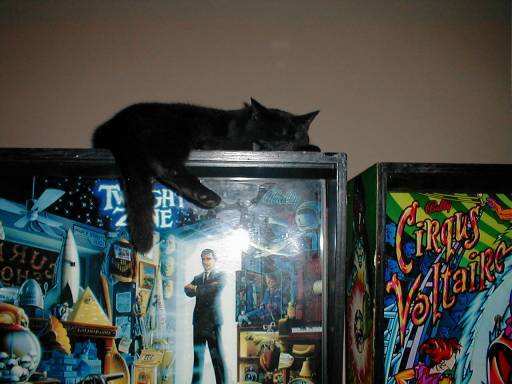 So our cats are often around our games. 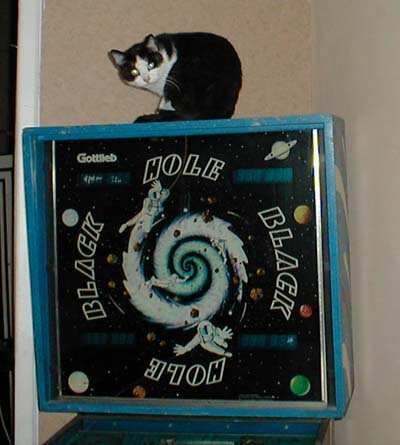 This is our cat Nero.. and his mind is like a black hole. 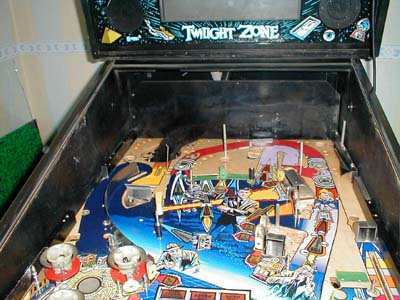 Boki.. dreaming in the twilight zone. 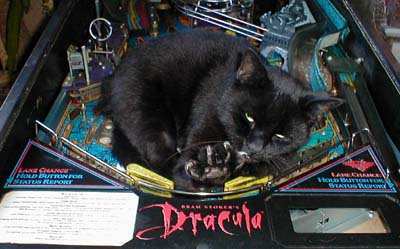 I have a very rare prototype Bram Stokers Dracula pinball machine. 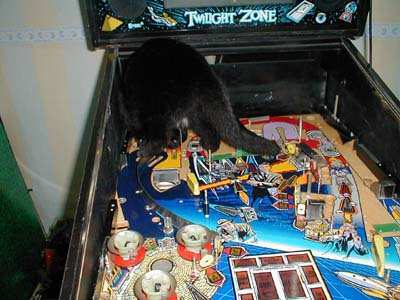 Not only does the game feature werewolves and bats, but also a black cat which claws at you ! Her name is Mali btw, she's Bokis twin sister. 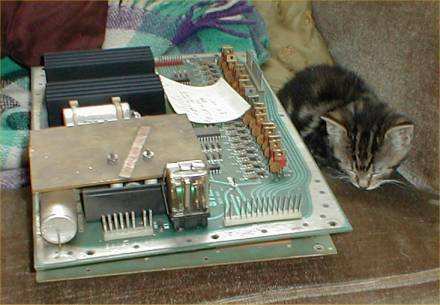 Isn't she cute ?? This little kitten was found in the woods and we fed her with a baby-bottle. She was about a week old when we got her, she would fit in the palm of your hand. 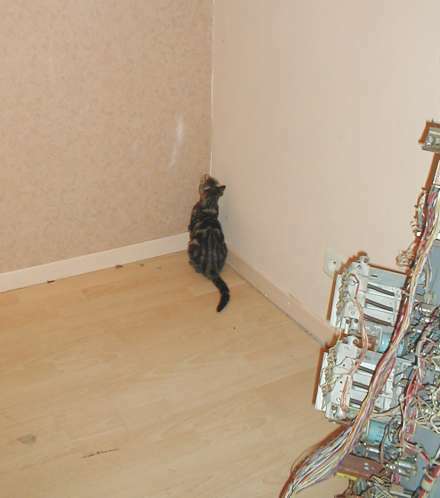 Here our kitten is a few weeks older.. if you don't behave you have to stand in the corner :-) As she wasn't raised by a mother cat but by humans, her behaviour was different from regular kittens. She's always very active and can run incredible fast ! 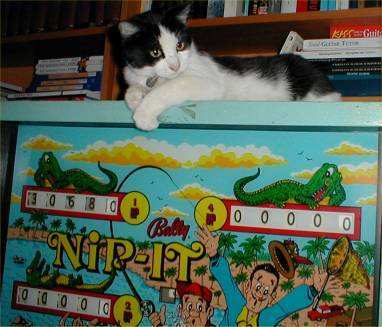 Who says pinball machines can't bring a cat some warmth ? 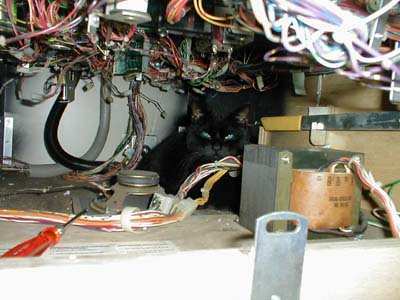 If it happened on a Theatre of Magic then it really was a magic trick.. the disappearing cat ! 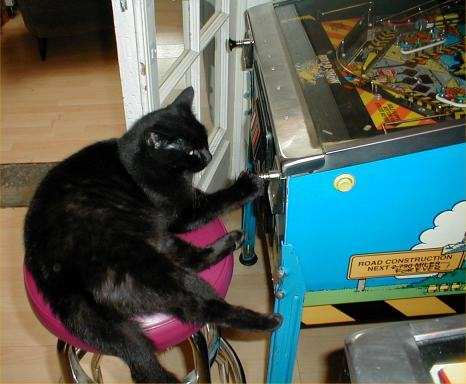 Who says cats can't play pinball ?